James specialises in Costs and is a highly experienced Personal Injury & Clinical Negligence lawyer. He also accepts instructions relating to general civil litgation and family law proceedings. Following his transfer from the Roll of Solicitors to the Bar after ten years in the insurance industry, James understands the needs of litigants and importance of achieving the best commercial outcomes for clients. James regularly conducts trials for Claimants and Defendants in the County Courts across the UK. He undertakes high value detailed assessment hearings before Regional Costs Judges and Masters in the Senior Court Costs Office. 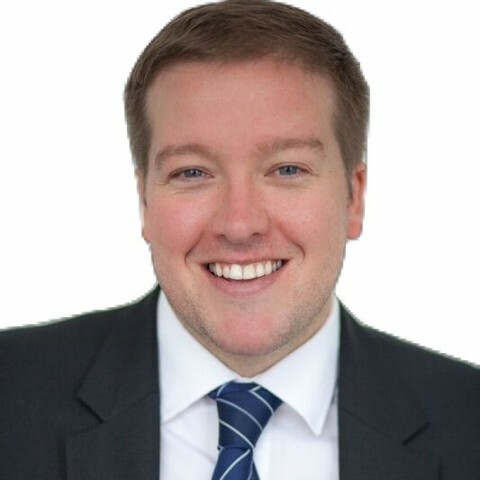 James is regularly instructed to deal with all aspects of Costs and Case Management in multi-million pound matters. He has extensive experience in Fixed Recoverable Costs cases and applications for relief from sanctions. James is a qualified Costs Lawyer and registered Mediator with the Civil Mediation Council. In addition to his thriving Civil work, James has a busy Family practice, and accepts instructions to represent clients in a range family matters before the County Court. The majority of his family law work falls within the different facets of child arrangements proceedings (orders for contact and residence), fact-finding hearings and injunctive remedies (applications for non-molestation and occupation orders). James also represents clients accused of criminal and regulatory offences in the Magistrates Court via the Direct Access Scheme. He is experienced in Business and Commercial matters including Consumer Contracts and Debt. James will also undertake Property work on behalf of landlords and tenants. James is married with two young children. He is a keen runner and enjoys football and mixed martial arts. I just wanted to let you what a great job James did yesterday. His briefing to me and handling of the judge and opposition were first class and a major reason for the result. I hope everybody at your end is pleased with the outcome. And thanks to you for your efforts, a good team performance! I have been using James [Miller] on a variety of civil litigation matters for some time now and am always extremely happy with the service, advice and results that he gets for me. I consider him to be a pragmatic and intelligent barrister who I highly recommend. James (Miller) is an experienced cost advocate who has achieved some very good results for me. I wouldn't hesitate to instruct him again. (James Miller) is an extremely effective advocate and negotiator. We would definitely use his services again. I would recommend James Miller to anyone he is a pleasure to work with. The outcome was always better than expected . I was impressed by his skills and knowledge. I felt the matter was fully reviewed & I was updated throughout . I will be using him again. "James Miller is a highly skilled and experienced advocate. I was extremely impressed by his knowledge of Costs Law. I would recommend him to anyone." Outside of these key areas of law, James Miller (2017) is always willing to consider any enquiry requiring the experience or knowledge needed to help you or your client. Please call James direct or the support team on 01823 247 247 if you would like to discuss any aspect of this profile. Judgment obtained at trial after successfully resisting the Defendant’s allegation of fraudulent misrepresentation. Successful strike out of opponent’s case following non-compliance with directions. My client retained his driving license following a plea of exceptional hardship. Complex relief from sanctions matter in which costs were reduced by 80% following non-compliance with an Unless Order. Clinical negligence matter in which costs were reduced from £735,764.00 to £327,152.48. The Claimant was reinstated to her post following allegations of fraud after a successful Appeal. 3. I, James Miller, have been instructed by you or your litigation friend (usually a parent), through your solicitor or agent, or via the Bar Pro Bono Unit. 27. If you have any questions regarding this privacy notice, or how I use your personal data please email me: miller@clerksroom.com, or my clerks: mail@clerksroom telephone 01823 247 247.